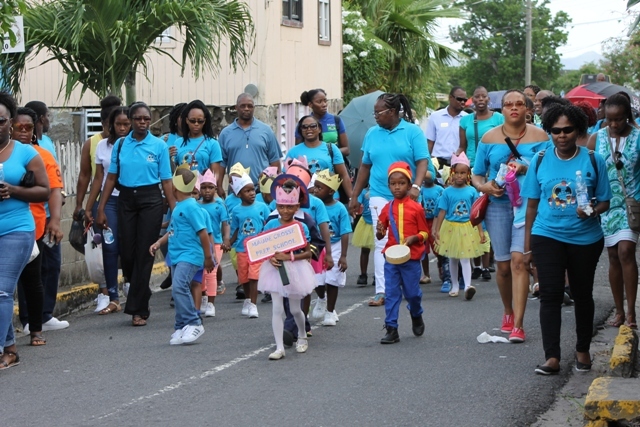 NIA CHARLESTOWN NEVIS (JUNE 09, 2017) — Organisers and participants in the Early Childhood Education Unit’s 32nd annual Child Month Parade, were commended by Hon. Vance Amory, Premier of Nevis and Minister of Education for a successful execution. 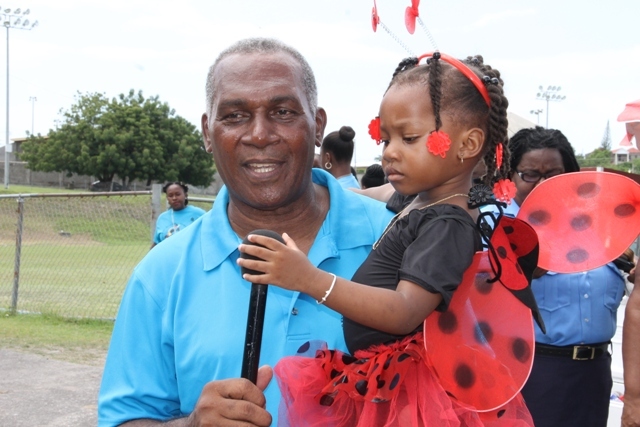 The event on June 09, 2017, which is one of the highlight of the Ministry of Education’s Child Month activities, wound its way from the Old Hospital Road to the Elquemedo T. Willett Park with much fanfare. The theme was “For Every Child, Early Moments Matter”. At the end of the march, Mr. Amoy told the Department of Information that this year’s march was well patronised and meaningful. 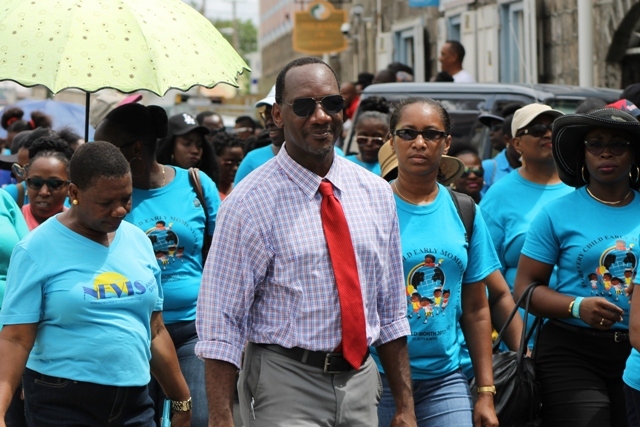 He said it represented a wonderful demonstration of people taking interest in their children and in the development of the future of Nevis and St. Kitts and Nevis. Eight home-based and five centre-based nurseries, 10 pre-schools and eight primary schools including their kindergarten classes took part in the parade. A contingent of 150 persons from St. Kitts, including Early Childhood Education personnel, pre-schoolers and parents also participated. Mr. Kevin Barrett, Permanent Secretary in the Ministry of Education also complimented all who made the event a success. He registered hope that the volume of support from parents and well-wishers would remain with the pre-schoolers as they grow. “I am hoping the type of support that is shown for this event that it would continue throughout the lives of our children. The parents came out. Guardians came out, well-wishers and supporters came out and I am hoping, that as the children develop and they grow older, the support that they are getting from their parents, well-wishers and the schools would continue because we need it. “The children are indeed our future and I am hoping that this type of support continues,” he said.